IT could be one of the most comfortable bikes we’ve ever ridden. Long country rides and weekend’s away are an easy task on the 2018 Yamaha Tracer 700. It’s LAMS approved and set to become a favourite of new and experienced riders, alike. 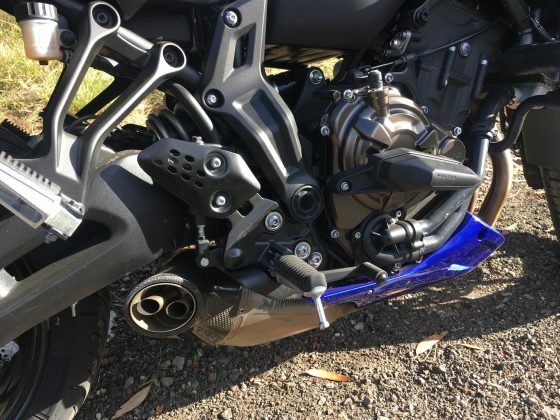 It’s that good, and it could be one of those rare bikes that stops a learner rider upgrading to a more powerful ride when they get their full licence. It has all the potential to continue to provide enough power and enjoyment to stay in the garage. The Tracer is a very forgiving piece of machinery, aimed at the taller rider (seat height is 835mm off the showroom floor), but there’s always the option of lowering the suspension should you be shorter in stature, so don’t let that bother you. A 655cc parallel twin-cylinder engine provides plenty of pick up and will handle the daily commute or weekend getaway with ease, despite the modest 74bhp available. Likewise, stop-start city traffic will not be an issue either. There’s still enough power in this torque-rich engine to pull away from traffic, overtake on the highway, or just cruise along comfortably, keeping up with the highway traffic, and you can even tackle those steep mountain roads with ease. The cornering is brilliant too. The bike is able to handle tight, twisting roads with ease. The end result is less fatigue when you arrive at your destination, and that’s definitely part of the appeal. It makes you keen to ride again as soon as possible. It’s just that kind of bike. Ready for fun and adventure. It makes you want to escape the city and enjoy the fresh country air, or one of our fantastic secluded beaches, maybe head for the coast somewhere, and just ride. The sound is typical of a twin cylinder motor and provides a very nice note without being too loud and obnoxious. The exhaust pipe is tucked away nicely at the bottom of the engine. Out of the way and discrete. The whole riding experience on the Tracer 700 is nothing short of excellent. You won’t feel a lot of engine heat either, which in summer is a blessing. Anyone familiar with the riding position and manoeuvrability of a dirt bike will understand how easy this bike is to ride. It is far more sophisticated than your average 2-stroke dirt bike but it has the same riding feel and fun factor with a sure footed-ness and solid, grounded feel that provides loads of confidence. It’s fitted with semi-hard panniers as standard kit and they are pretty generous in size. They do add to the width of the bike but provide plenty of storage space for wet weather gear storage, or just to be able to pick up some milk and bread on the way home. 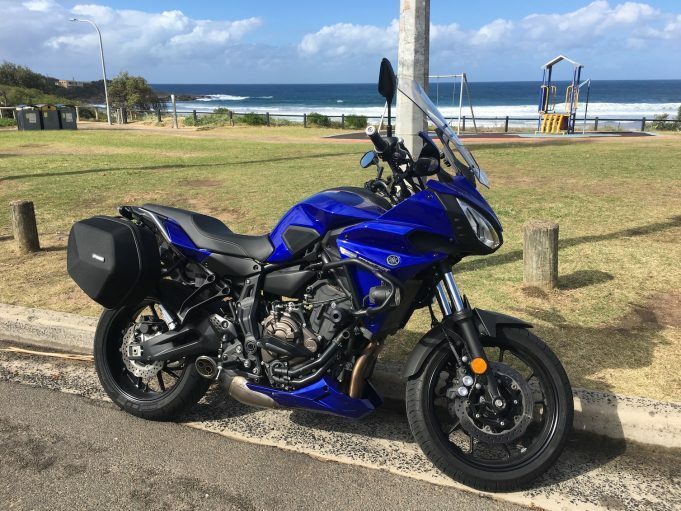 The 2018 Yamaha Tracer 700 is made exclusively for the Australian and New Zealand markets, with its 655cc engine. Overseas it’s sold with a 690cc motor, which would make it a non-learner approved bike here. 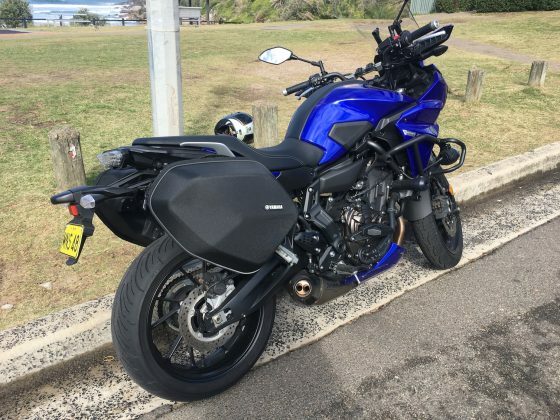 It hits the road at $12,299 and comes in three colours; Blue, Red and Black, with a host of optional extras available. 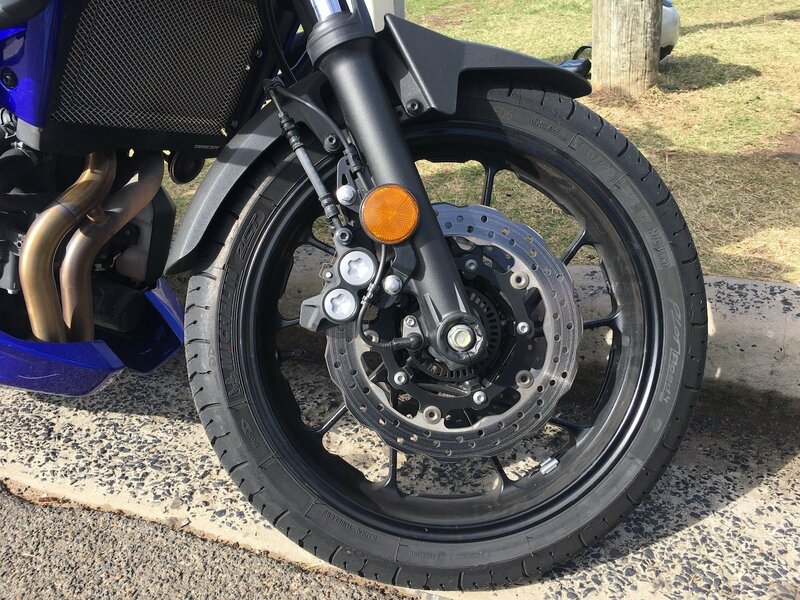 These include engine protection bar work, an LED fog light kit (as fitted to our test bike), side sliders, and a sub-cowling. You could also choose to fit a top case carrier and top case, if you wanted to. It’s the multitude of custom options that adds to the appeal of this bike, and gives it longevity for potential riders. Our test bike was provided by Yamaha Motor Australia. 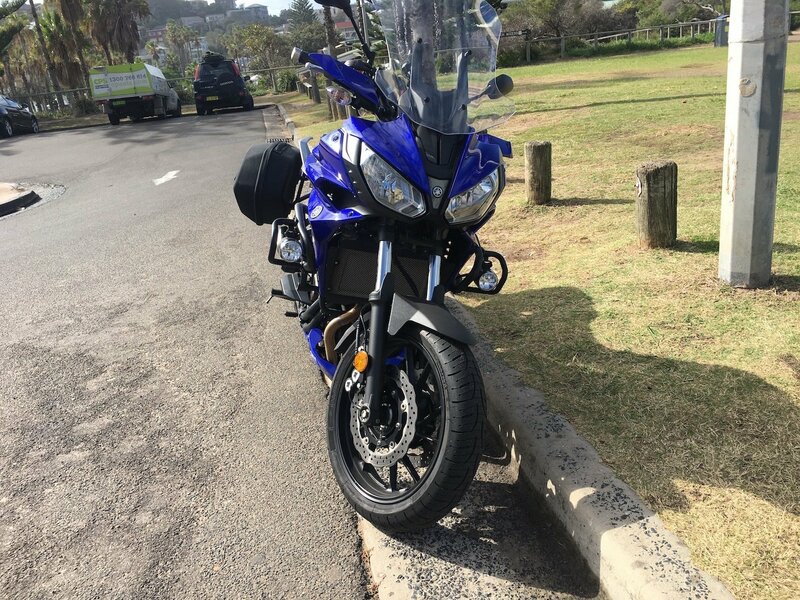 To find out more about the 2018 Yamaha Tracer 700, contact your local Yamaha dealer. Pros - comfort; smooth engine and gearbox. Cons - width with panniers on the bike; ride height a little high.